Shopping for Harley Quinn Banks? Harley Quinn, the fan-favorite DC Comics character, will look after your loose change with this bank! 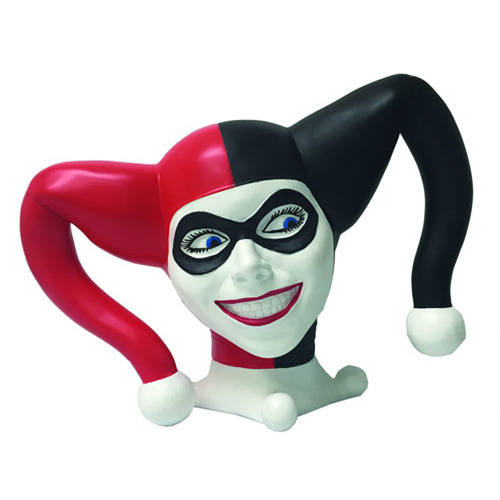 This Harley Quinn Head Bank is larger than a bust bank and features an impressive sculpt of Harley's harlequin face that will look fantastic on an office shelf or in your home! Ages 4 and up.